From cybersecurity to tech support, there are many great IT careers you can jump into without a college degree. However, it definitely helps to have a few certifications on your résumé. 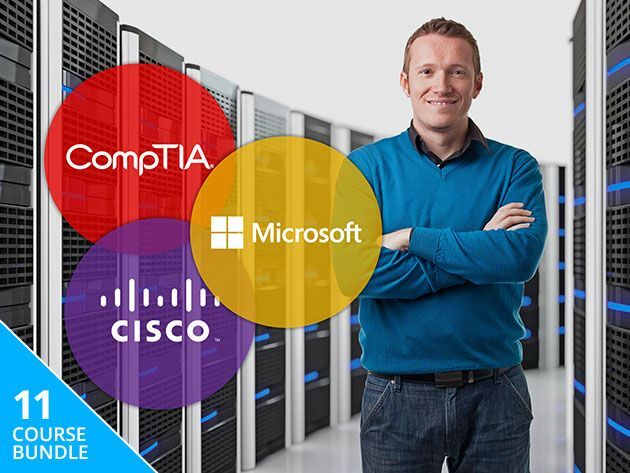 The Ultimate IT Certification Training Bundle helps you gain technical skills and prove your knowledge, with over 200 hours of video training. Right now, the bundle is just $39 at MakeUseOf Deals. Now that companies of all sizes rely on technology, IT skills are in demand more than ever. If you want to switch career or simply earn a promotion, this epic bundle can provide the perfect launchpad. You don’t need any technical expertise to get started, as the video begins with the basics. Through hands-on tutorials, you discover how to install each major operating system and fix common problems. You also take a deep dive into PC hardware and mobile platforms. With the basics in place, the courses help you explore networking, cloud computing and cybersecurity. The bundle even includes a course on project management. These are some of the most highly valued skills in tech right now. Just as importantly, all the courses work towards globally-recognized certifications. You get full prep for 11 exams, including CompTIA, Cisco and Microsoft. The bundle includes over 1300 video lessons in total, and you get lifetime access to all the content. This training is worth $3,289, but you can grab the bundle now for just $39 to start learning.